You would think Google had plenty of work to do, what with running the biggest search engine in the world, providing a social network, transporting our emails and creating cars. However, it turns out that its staff always have time to create a few surprising Easter eggs for us. Here are 10 of the best. Do you want to go travel back in time? Well, Google offers its very own time machine. 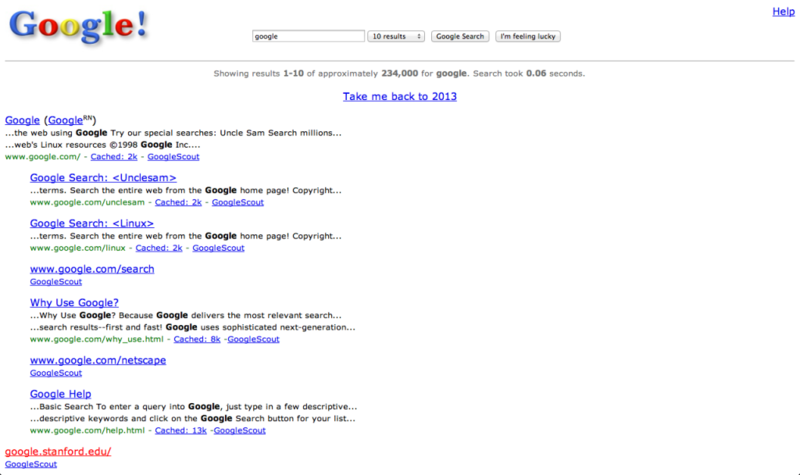 All you have to do is type in “Google in 1998″ and you’ll see exactly how the search engine looked that year. It’s come along way! 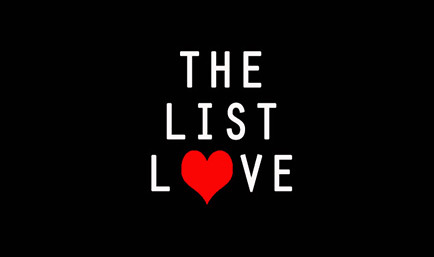 This is our personal favourite here at The List Love! 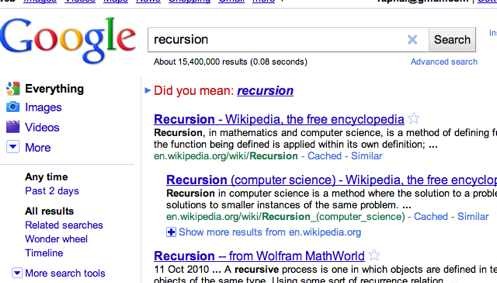 Just type “recursion” into Google and the search engine will say “Did you mean: recursion”. That’s because recursion means an infinite loop of the same thing. Click the link and it will simply take you back to the same result. Genius! 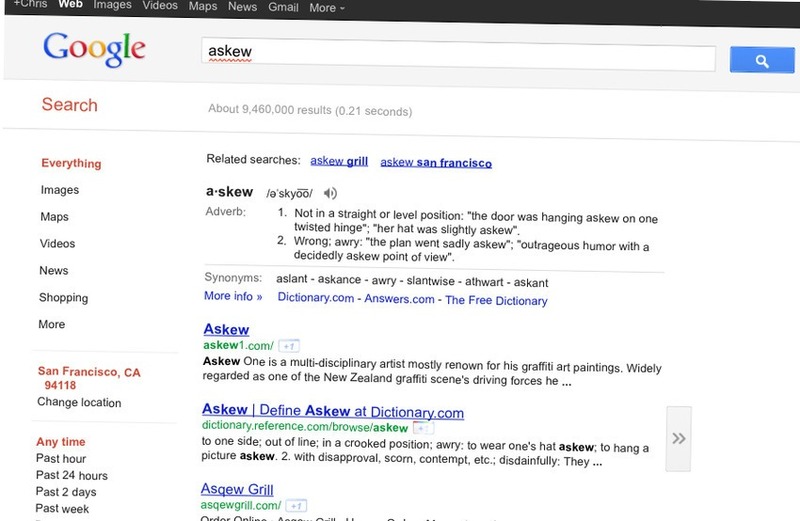 By typing “askew” into the search bar, Google will simply tilt the whole page askew. So if you’re a fan of straight lines, it’s probably best not typing this in! Are you a Doctor Who fan? You will love this then. Type “Police Telephone Box” into Google Maps, and you’ll be taken straight to Earl’s Court Station. 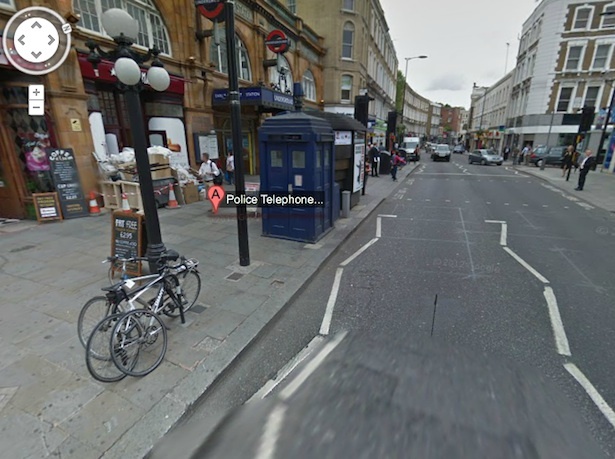 Here you’ll find a TARDIS that can be seen in the Street View. Just click on the double-white arrows located next to the police box and you’ll be taken inside. Are you more Muppet than man/woman? You’ll need the Muppet search engine then, which obviously Google provides. 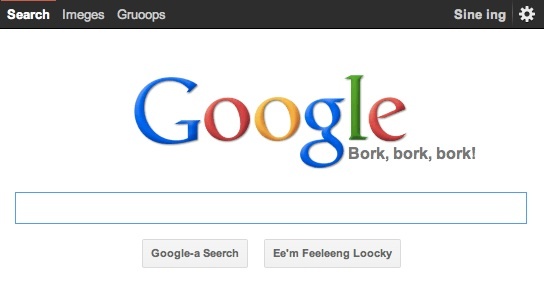 To use it, search “Google Bork” and you’ll be redirected to the Google page that offers the Bork language, which is the tongue of the Swedish chef from The Muppets. 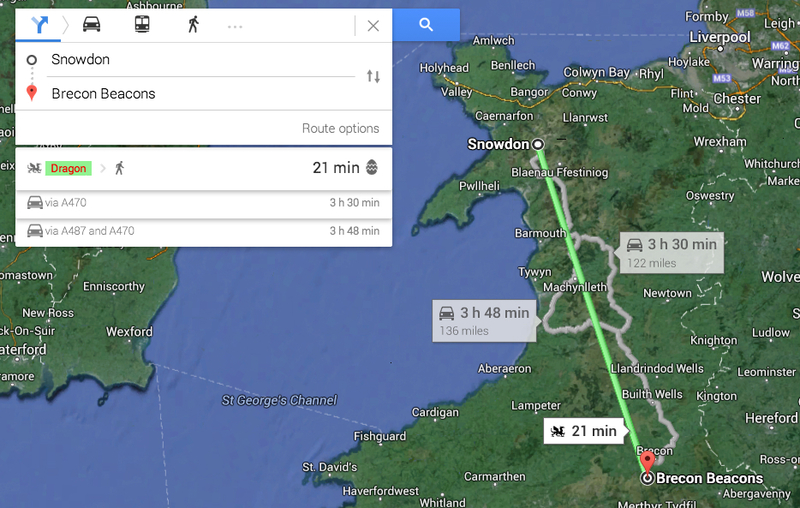 Did you know you can go from Snowdon to Brecon Beacons by dragon? For directions, just type in directions for the locations in Google Maps. The website will give you three options: two are by road whilst the other is by dragon – which is obviously a lot quicker. Have you ever sat there and wondered about the meaning of life? 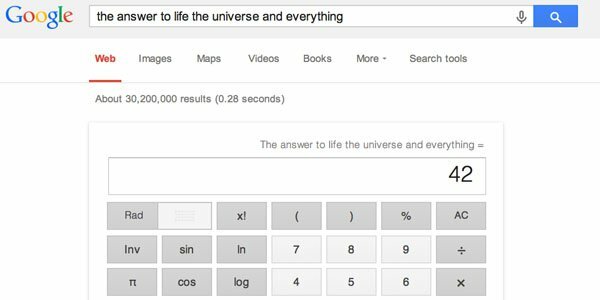 Obviously Google has an answer for everything, so you should Google “the answer to life the universe and everything” to find out what it is. It will therefore provide you with the number 42 – which is what the suggested answer is in The Hitchhiker’s Guide to the Galaxy. 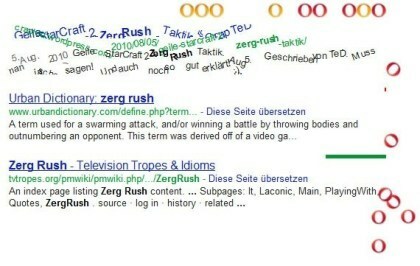 Google “Zerg Rush” if you want a pile of thuggish Os to destroy your page. In order to stop the Os from ruining your page, you have to shoot them down using your cursor; otherwise, they’ll show no mercy. One they’ve destroyed your page, they’ll reform to “GG” meaning good game. Google knows better than to go looking for Chuck Norris, which is why they’ll provide you with some helpful suggestions if you’re in search of him. To see Google’s fun response, simply turn off your instant search settings, type in “Chuck Norris” and click the I’m Feeling Lucky search option. Want to play a game? 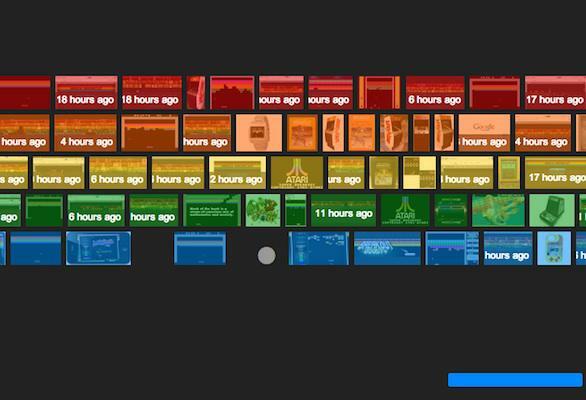 Type “Google Breakout” on Image Search. You can them play the game where you have to destroy all the coloured blocks. Read more top 10 lists about technology by clicking 10 Interesting Internet Facts You Don’t Know.